We are delighted to make available to you our e-newsletters. Each newsletter features a donor story, explanation of a gift planning vehicle and news from campus. We hope you are inspired by what you read and are encouraged to reach out to us for more information. 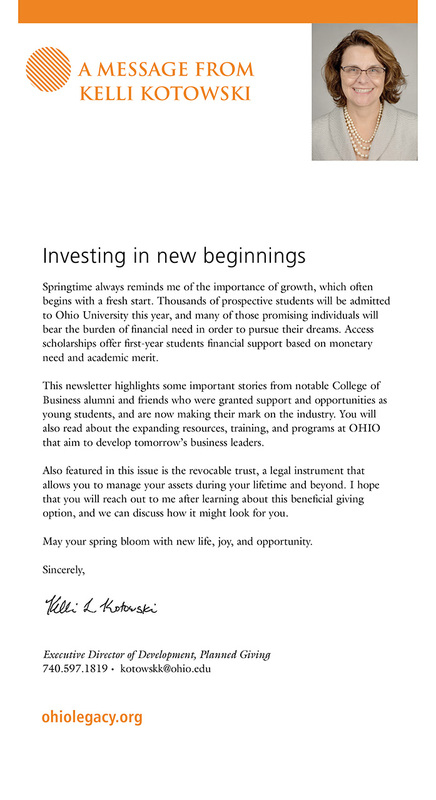 To join our mailing list, please provide your name and email address to Kelli at kotwoskk@ohio.edu.